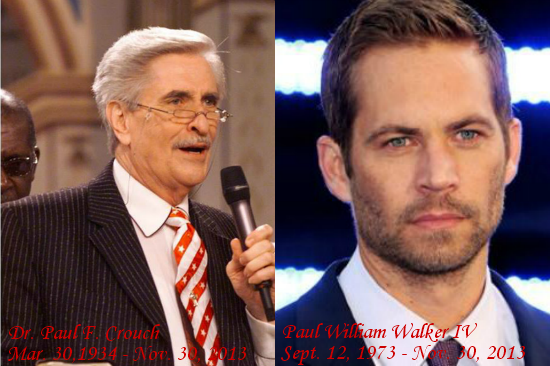 Father, we come boldly before your throne of grace and pray for the families of Paul Crouch, Paul Walker and Roger Rodas. 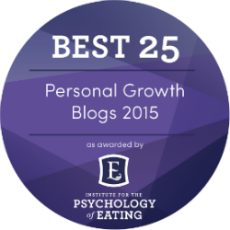 You are the God of all comfort, who comforts our heart in times of tribulation. We therefore call upon you and pray that you would comfort the heart of the families, friends and loved ones who are left to mourn their loss. Your word says there is a time and season for everything under the heavens – including a time for weeping and mourning. During this time we pray that you would walk with the Crouch, Walker and Rodas families, comfort them, and help them through this time and season of grief and despair. May you also pour your healing oil and balm upon each one to soothe, mend and heal their hearts. Father, we thank you for being the peace in the midst of our storms, and in this storm of sorrow, we pray that you would be their inner peace. May you flood their mind, heart and entire life with your peace that surpasses all their understanding. Lead them to your secret place of rest, peace, security and comfort that is found only in you. Give them the strength and courage they would need for the upcoming days. As the heart of the families, especially those of Paul Walker and Roger Rodas search for answers as to the reason for the loss of their family member in this tragic and terrible way, may they not blame you, or loose heart in you, but come to know you as the Sovereign God, as Lord and Savior of all mankind in Jesus name we pray, amen.